At F/2, Hyperstar is the fastest way to take professional images with your Schmidt Cassegrain! Often, the only difference between beginner and expert is having the right tool. And that’s the beauty of Hyperstar. The Hyperstar lens, patented by Starizona, is the bridge between you and professional imaging, allowing you to explore the heavens in detail - and quickly too. Faster than your brain on that 5th cup of coffee. Exposures that take an hour at f/10 take mere seconds with the Hyperstar lens. 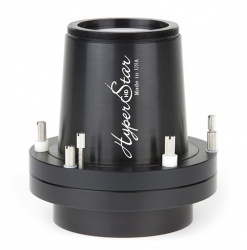 Replacing the secondary mirror on your Schmidt Cassegrain telescope, Hyperstar converts it into an f/2 imaging system. Yes, we said f/2. That means your imaging canl be up to 28 times faster. Which means you can go to bed sooner...or, stay up all night and take 28 times more photos. Optical diagram of how the HyperStar lens works. Left picture shows standard SCT arrangement. Sharp edge to edge. 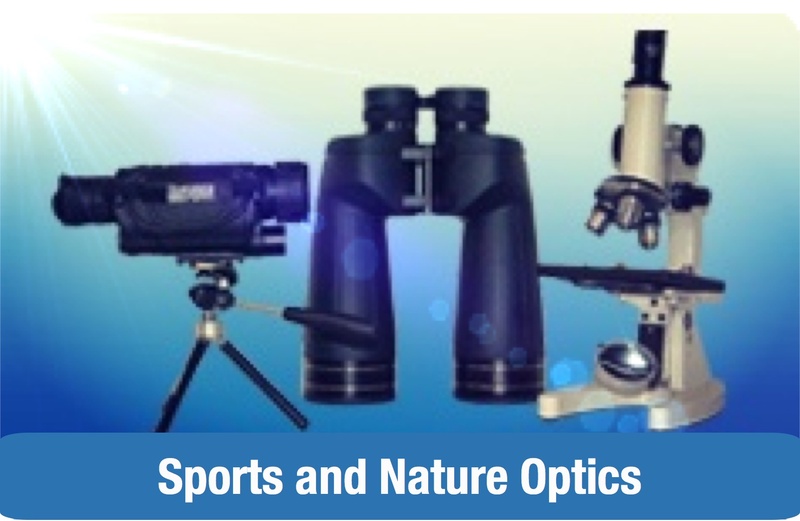 With its custom-designed optical system, the Hyperstar’s image quality is unmatched. 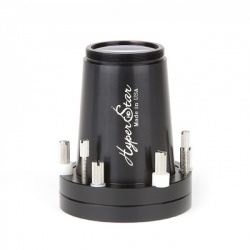 Each Hypster lens is made differently for each telescope. This isn’t only to compensate for the difference in size, but also so the lense is optimized to fit each telescope design. The result? A flat field of view - which is completely sharp - from edge to edge. This leaves you with star images that are much sharper than using the same telescope at f/10, despite the field of view being 5 times wider. Exploring the universe is complex enough. 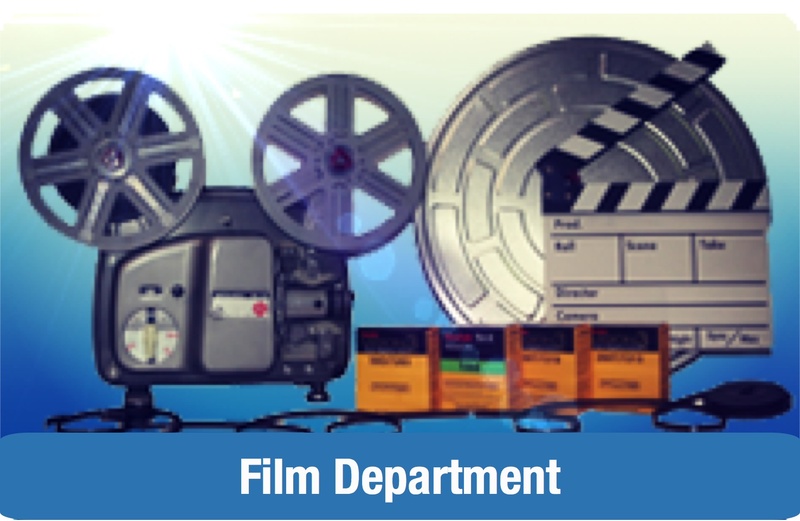 Your equipment doesn’t have to be. 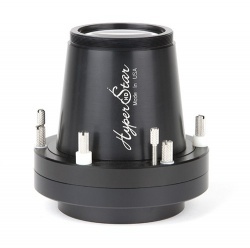 The Hyperstar lens is easy to attach to your telescope. Plus, it’s short exposure time, between 20-60 seconds, allows for unguided imaging. Which means you can run your telescope in alt-azimuth mode. Which means you don’t need an equatorial mount. There is nothing more simple. What are the Advantages of HyperStar? The primary advantage of HyperStar is speed. 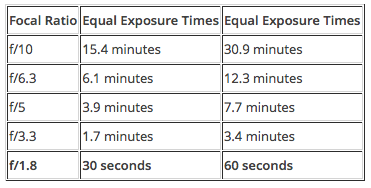 The table compares exposure times at various focal ratios. 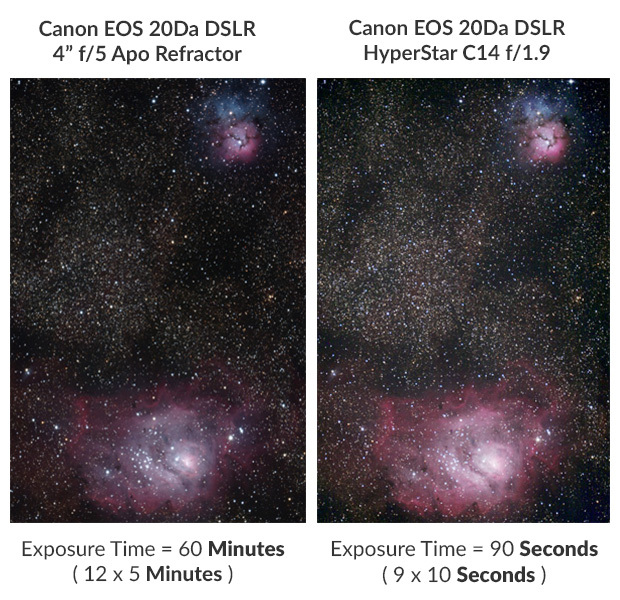 Exposures that take the better part of an hour at f/10 take mere seconds with the HyperStar lens! Aside from the obvious savings in time and effort, short exposure times have a secondary advantage: capturing images is much easier. With typical exposure times of 20-60 seconds, HyperStar imaging allows unguided imaging. Long exposures require a telescope to be guided due to inherent tracking errors in the drive. This requires a second CCD camera or self-guiding CCD and often other hardware such as a guidescope. HyperStar images can be shot unguided thanks to the extremely short exposure. A Big Bang for your buck. Let’s be real. To achieve the same image quality from any other imaging system, you'd probably have to get a second mortgage on the house. Not to mention the extra equipment, set up, and imaging time that comes with it. 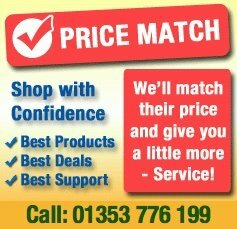 Plain and simple, dollar for dollar, there is just no other product on the market like the HyperStar. How Does the HyperStar Lens Work? 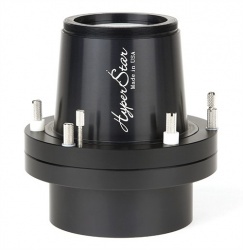 The HyperStar lens replaces the secondary mirror at the front of a Schmidt-Cassegrain telescope (SCT). Most SCTs operate at a focal ratio of f/10, which is very slow photographically. This requires a long exposure. 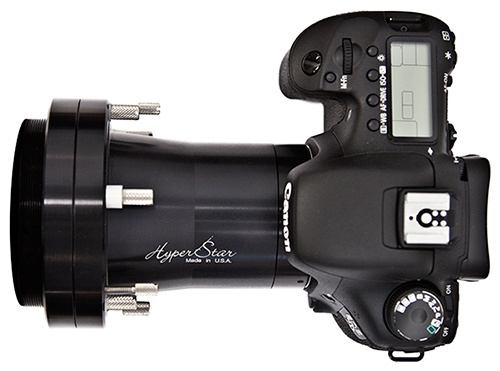 The HyperStar lens converts the telescope to an f/1.8 optical system (f/2.0 for a 14" scope). This allows incredibly fast images, up to 33 times faster than at f/10! In addition to shorter images, the telescope may does not need to be polar aligned, nor is guiding necessary. Deep-sky imaging is vastly easier than it used to be! Why Do I Need a HyperStar Lens to Image at the Front of the Telescope? A Schmidt-Cassegrain telescope uses a primary mirror which has a focal ratio of around f/2. The secondary mirror provides a 5x magnification, yielding an overall f/10 system. Removing the secondary mirror and placing a camera at the front of the scope allows f/2 imaging. But without a corrective lens, the image would be awful. The primary mirror alone suffers from spherical aberration and field curvature which is normally minimized by the secondary mirror. 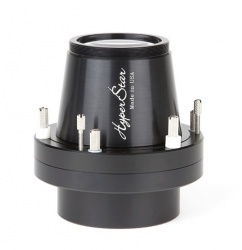 The HyperStar is a multiple-element lens which corrects the inherent aberrations in the telescope, allowing f/1.8 imaging with a highly-corrected field of view. Does the Corrector Plate Have to be Removed? No. 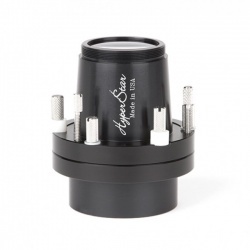 A HyperStar-compatible telescope has a retaining ring, like the lid of a mason jar, that you simply unthread by hand to remove the secondary mirror. The mirror is attached to a plate with the collimation screws on it. This lifts out of a holder in the corrector plate (which also holds the baffle tube on the inside of the corrector plate). The mirror is safely stored in a protective holder while outside the telescope. 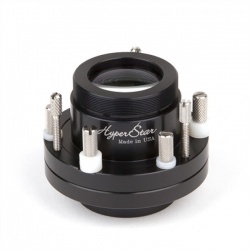 The HyperStar lens attaches to the holder in the corrector plate. No tools are required and the corrector plate never comes off the scope. Can I Still Use My Telescope Visually with HyperStar? You can easily switch between the standard f/10 (visual) configuration and the f/1.8 HyperStar configuration. Converting from one to the other takes less than 5 minutes. Since the secondary mirror is removed for HyperStar imaging, viewing cannot be done simultaneously, but the image can be viewed via the CCD camera on the computer screen. A 1-second focus exposure will show more than your eye would ever see at the eyepiece! This makes finding and framing objects very simple. 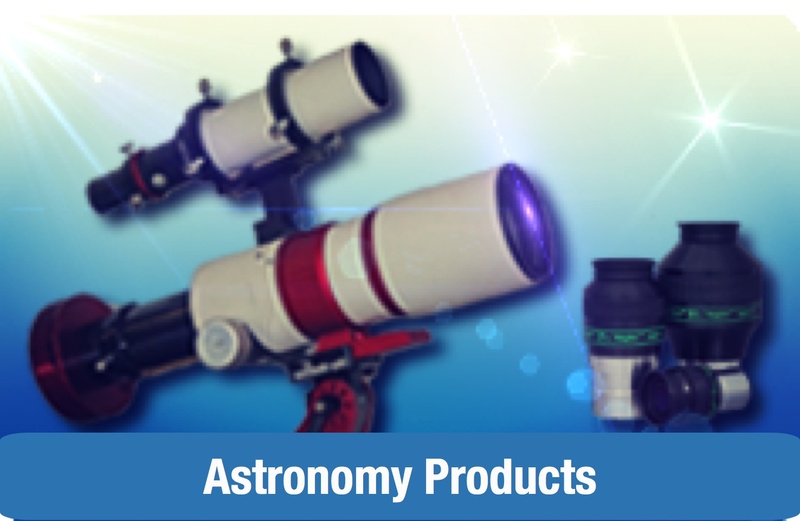 Do I Have to Collimate My Telescope Each Time I Use the HyperStar Lens? No. The secondary mirror is indexed so it goes back into the telescope exactly the way it came out. This retains the alignment of the optics precisely, eliminating the need to recollimate after HyperStar imaging. How Do You Focus the Telescope with the HyperStar Lens Installed? Focus is achieved using the standard focus knob on the telescope (moving the primary mirror). The image is seen on the computer screen via the CCD camera, so focusing is very easy. Autofocusing is also possible using a motorized focuser such as Starizona's Wireless MicroTouch Autofocuser. Despite focusing with the primary mirror rather than a Crayford-type focuser, mirror shift is not an issue. Remember that the image from the primary mirror in an SCT is normally magnified 5 times by the secondary mirror. With HyperStar, the secondary is removed so any mirror shift is reduced five-fold. The field of view is so wide with HyperStar that any image shift is not an issue. Can I Use HyperStar for Lunar and Planetary Imaging? HyperStar is ideal for deep-sky imaging but is not well-suited to solar system imaging. For planetary imaging you need very high magnification, the opposite of what the HyperStar gives. While the moon may be framed well using the HyperStar lens, the system is so sensitive that it will be all but impossible to avoid overexposing the moon. Are There Any Disadvantages to Using HyperStar? You won't sleep anymore. Introducing the newest member of the HyperStar family, the HyperStar C6! HyperStar lens now accommodates CCD chips up to 27mm diagonal, allowing for a huge field of view at incredibly fast speeds! This version of the HyperStar lens includes the Starizona Filter Slider for easy use of multiple filters without removing the camera. Ultra-fast, wide-field CCD imaging has never been easier. 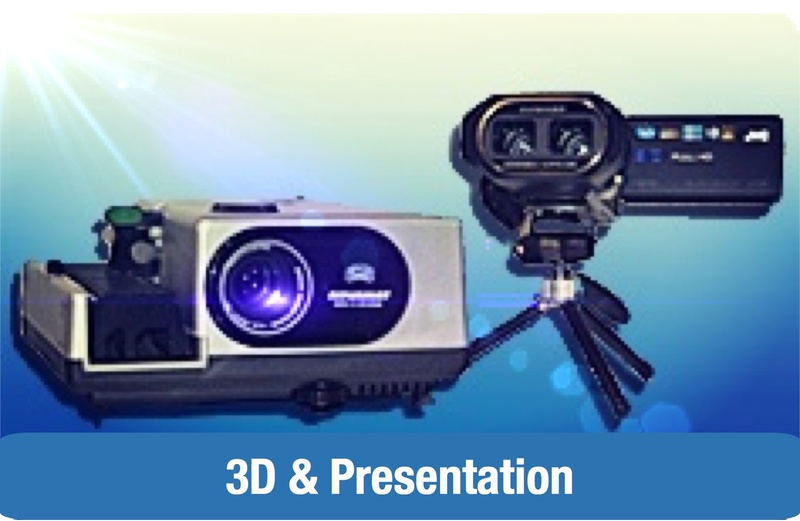 HyperStar quickly converts your SCT into a fast imaging system. The HyperStar C9.25 lens converts a standard Celestron 9.25" SCT from f/10 to f/2.3, making the system 18 times faster. New HyperStar 3 Lens for the C11! Use your Nikon or Canon DSLR camera body for stunning deep-sky vistas! 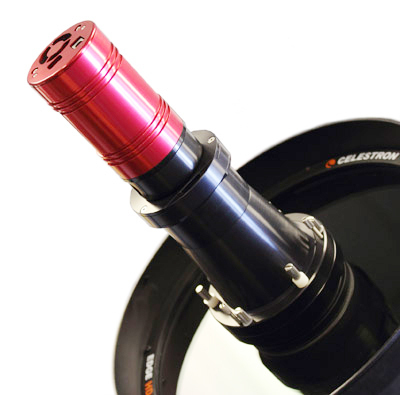 The HyperStar 14 system allows extremely fast, wide-field CCD imaging with the Celestron 14" SCT.